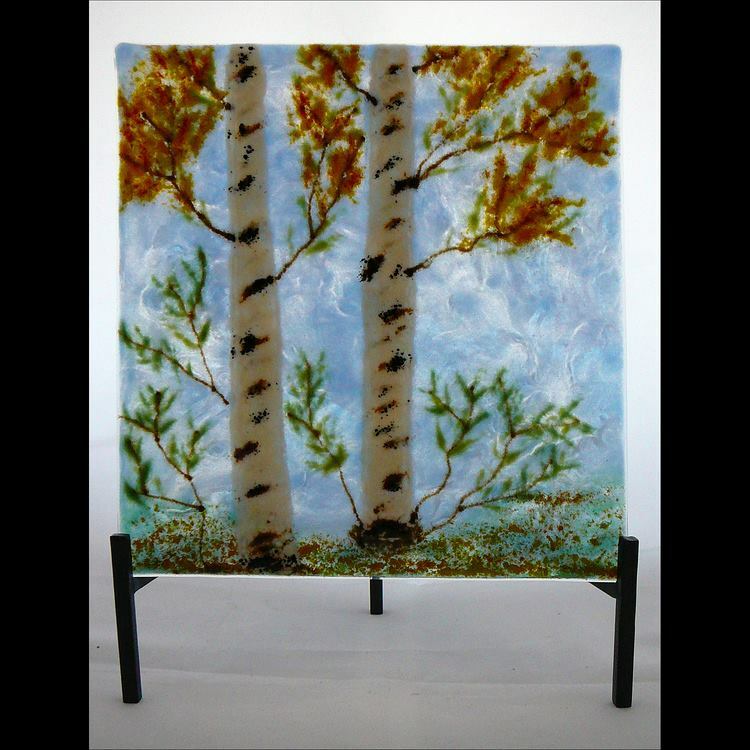 My inspiration for my kiln-fired glass art comes from my love of nature and the landscapes it provides. 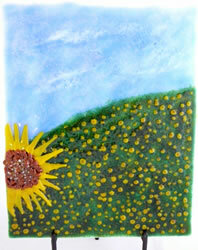 My work has somewhat of a peaceful tone, but occasionally the wild is revealed in one of my pieces. I use only glass, no paints or pens. 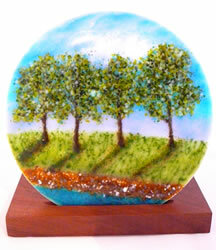 Using colors that enrich each landscape and bring the seasons to life. 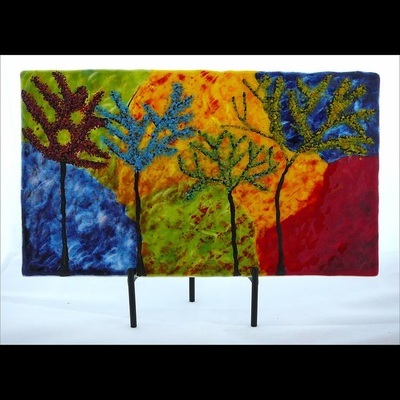 Using glass powders and tiny pieces called “frit” as my medium and glass panels as my canvas, I “paint” images on the glass. 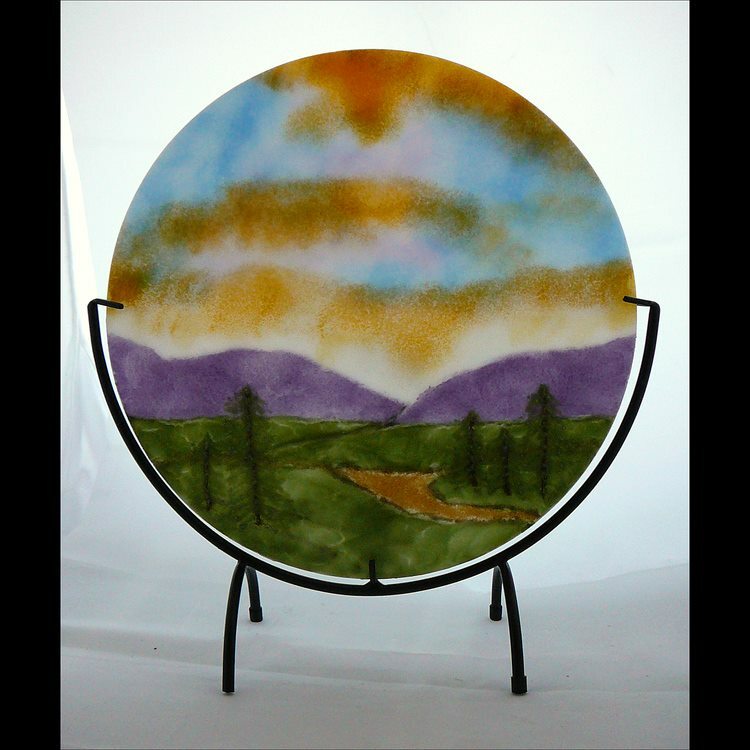 They are fused in the kiln often in multiple firings to add color, texture, shading and dimension. The final pieces appear sculpted and catch light with their many facets. Some wall panels are mounted on brushed aluminum panels which reflect the light back through the panel. 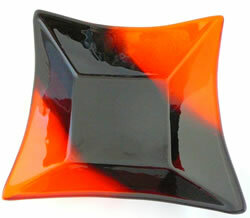 My love of glass started as a young woman, but my discovery of fused glass in 2011 is where my real passion began. I have taken several classes at a local glass studio in 2011 and several classes with Anne Nye in 2014 and Patty Gray in 2015. 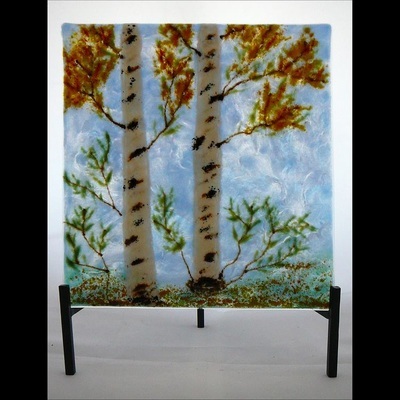 I am continually expanding my knowledge and techniques to include many different styles of fused glass. I am a member of the Columbian Artist Guild and have shown/sold my glass art in Kansas, Nebraska, Missouri, Iowa, Minnesota and Illinois. 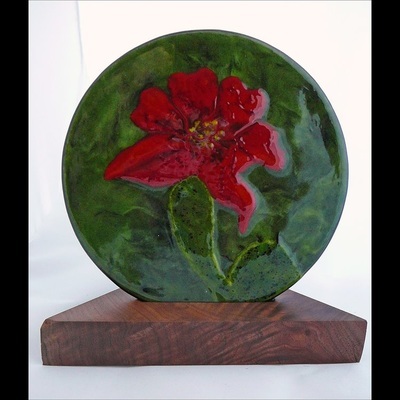 I have worked as a production artist since 1981 and live in rural Morris County Kansas, with my husband and am inspired by the countryside that surrounds us.